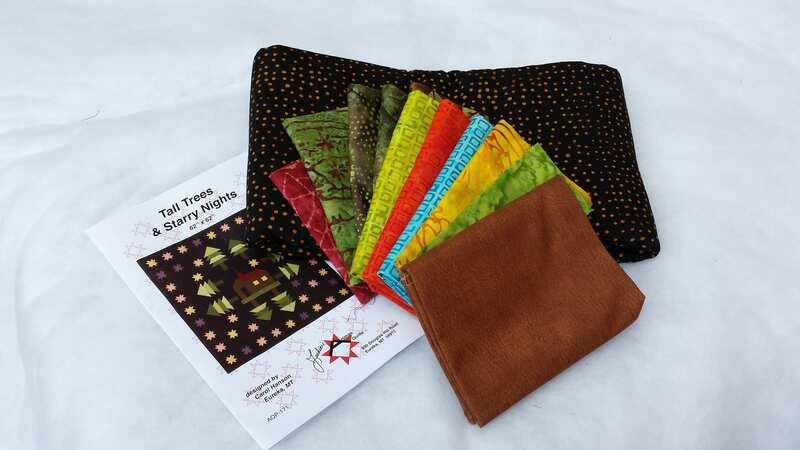 Lap size quilt top kit in wonderful batiks. 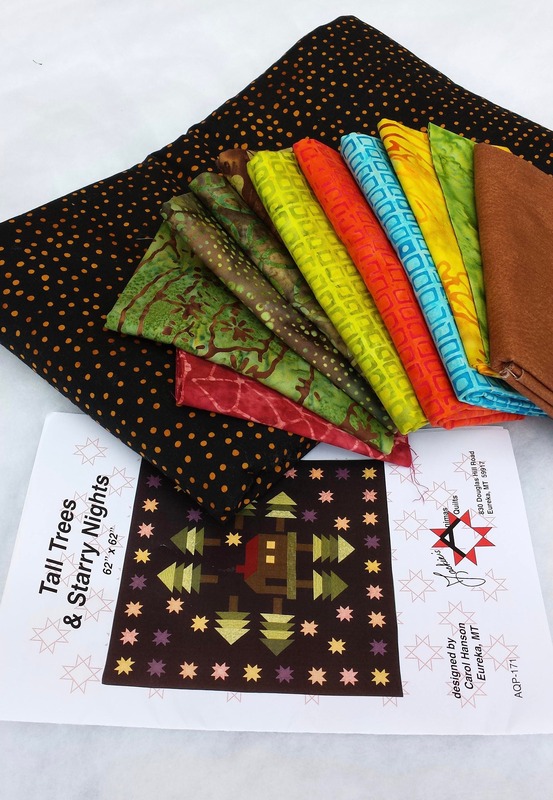 The kits available have a golden dot background which differs from the original quilt top pictured, I think it's even better and closer to a "Starry Night". 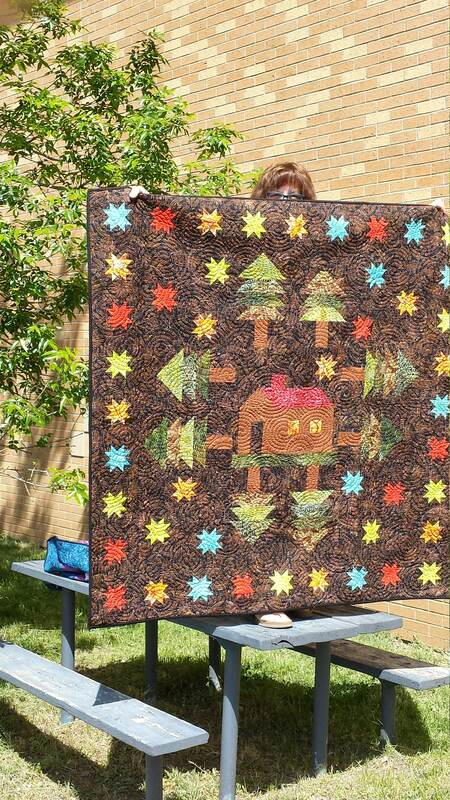 The pattern for this quilt top kit is from Jackie's Animas Quilts in Eureka Montana, Carol Hanson is the designer. These little stars against the black background are real attention getters. 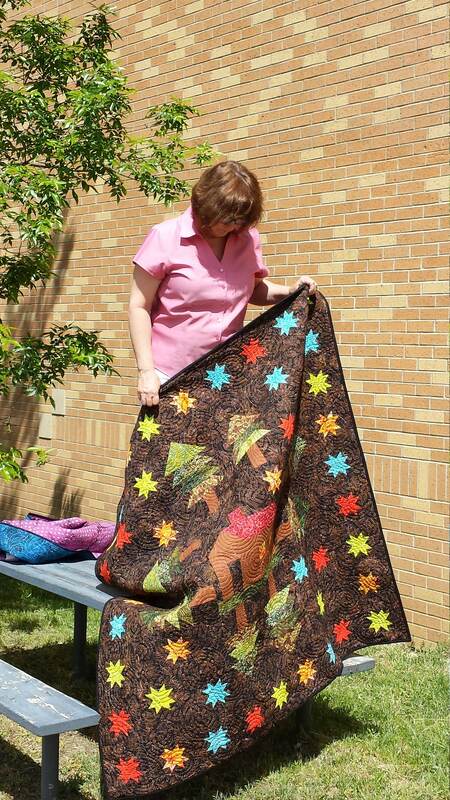 This quilt finishes at 62" x 62". 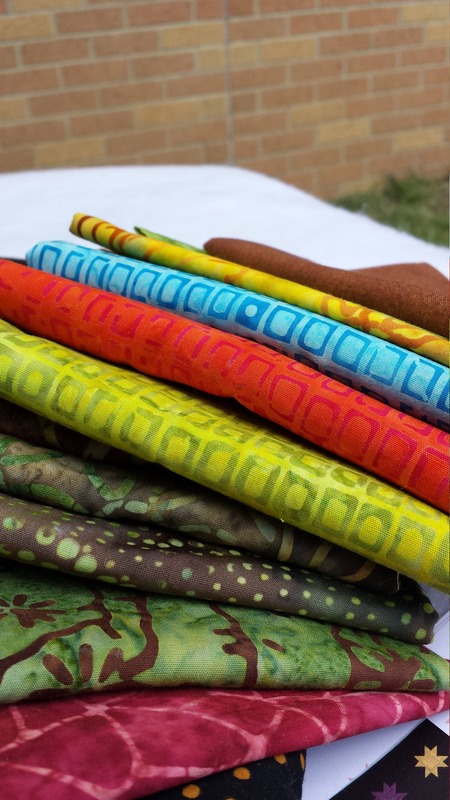 The fabrics are mostly from Batik Textiles.